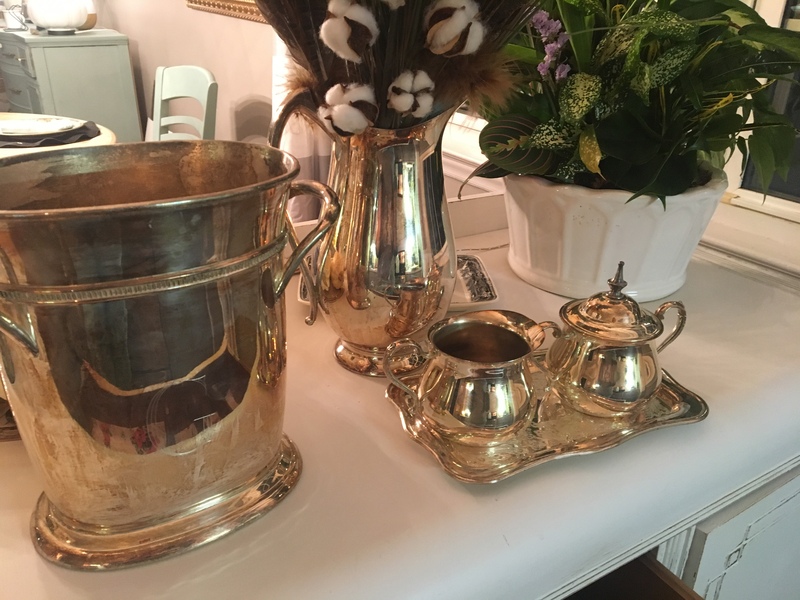 Now, let me tell you how to make your silver shine! And it’s EASY! Wrap your sink in foil, shiny side up! 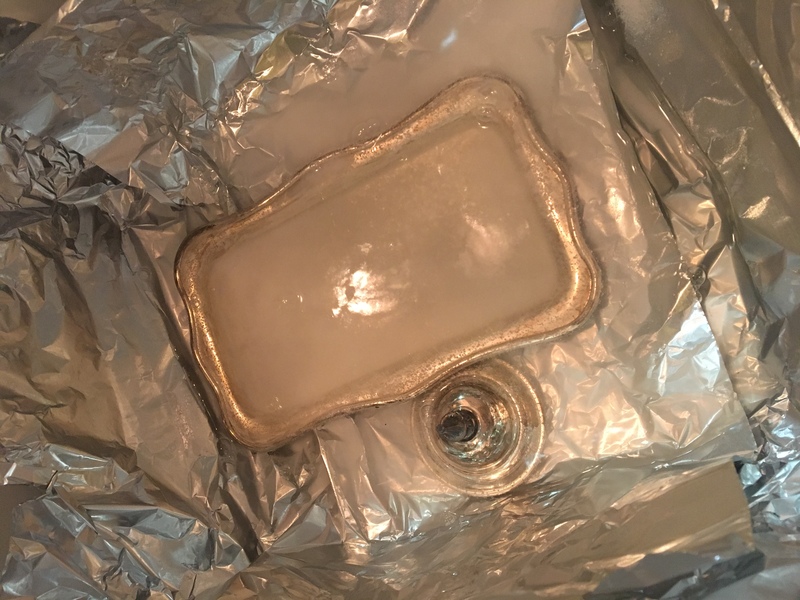 Make sure your silver is in full contact with the foil and watch the magic happen! If it’s super tarnished (like mine) it could take 15 mins but for like the cream and sugar tray it was instant! And the sad truth, if I hadn’t wanted to use the pitcher for my fall arrangement I wouldn’t have even noticed it was in such a sad state! 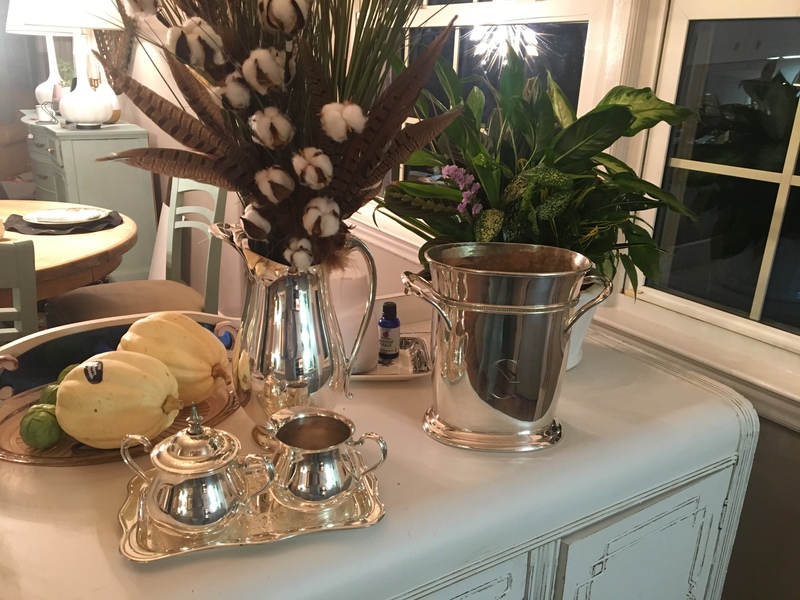 This entry was posted in cleaning hack, life hack and tagged cleaning silver hack, Mama Bird Nest, silver cleaner, sterling silver.